I highly recommend this book to anyone interested in writing in the genre because of how it has helped me with my world-building and is a reference I return to time and again. It is not a "how to write science fiction", but rather a handy reference book for the various areas of science that a science fiction writer might find useful, with chapters devoted, inter alia, to: space and spaceships, planets and planet design, aliens, designing a future setting, nanotechnology, intelligent machines, bioengineering, and alternate universes. I found the book to be well-organised and easy to read. All sections are written in a clear, easy to understand manner, assisting the non-scientist layman (like me!) 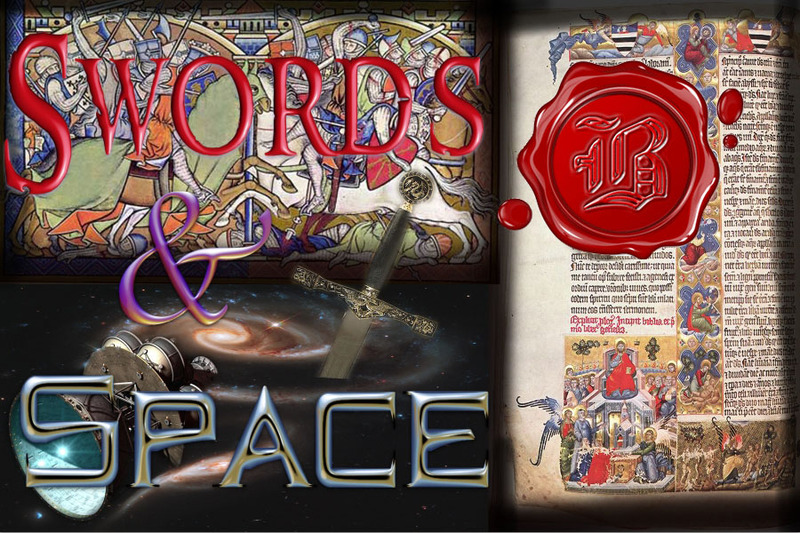 in writing convincing science fiction. One of the best features, in my view, was that the authors point out all the "wrong science" blunders common to science fiction, thereby helping you to avoid them. They also point out examples of excellent science fiction and how those authors used known science in a convincing manner. The only significant shortcomings of this book relate to its age: it was printed in 1993 so the science risks becoming dated as we move further from its publication. Additionally, this means that it has gone out of print and one can only obtain used copies. 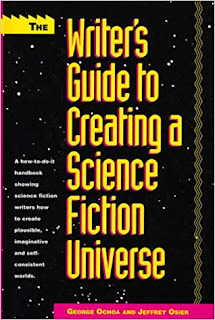 However, there is nothing newer out there that covers all the areas that The Writer's Guide to Creating a Science Fiction Universe does, so it is still well worth the effort of obtaining it. 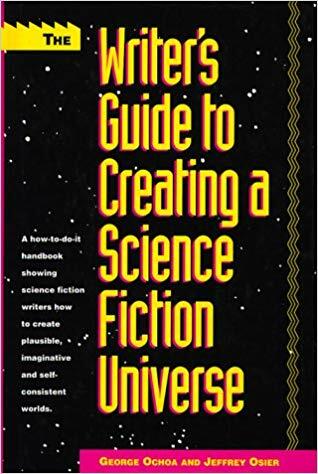 I have also read the Science Fiction Writing Series (edited by Ben Bova - to be reviewed eventually) World Building and Space Travel and I preferred The Writer's Guide to Creating a Science Fiction Universe. There is nothing wrong with the Bova books, they were excellent as well, but I found Messrs. Ochoa and Osier's book easier to read and more insightful. Plus, it is very convenient having everything in one place. On the other hand, the Science Fiction Writing Series books are more comprehensive and still in print.